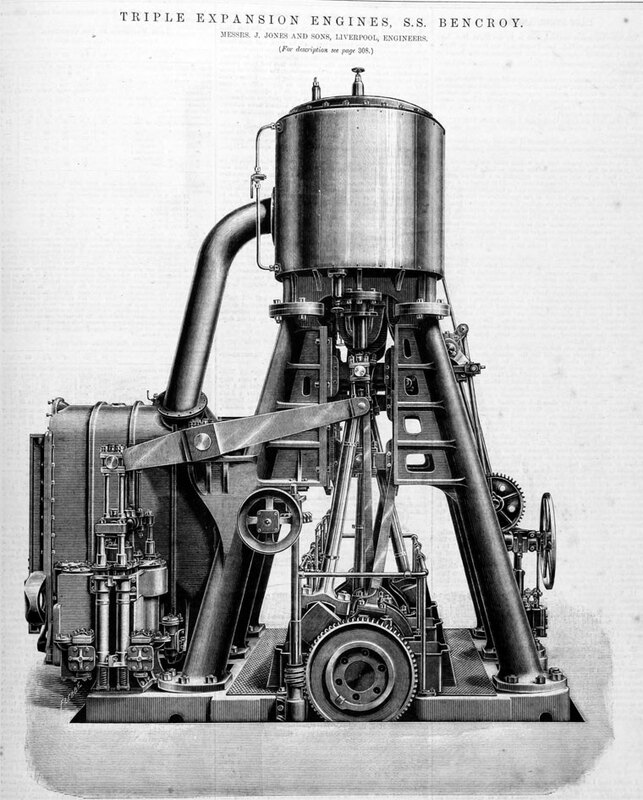 1887. 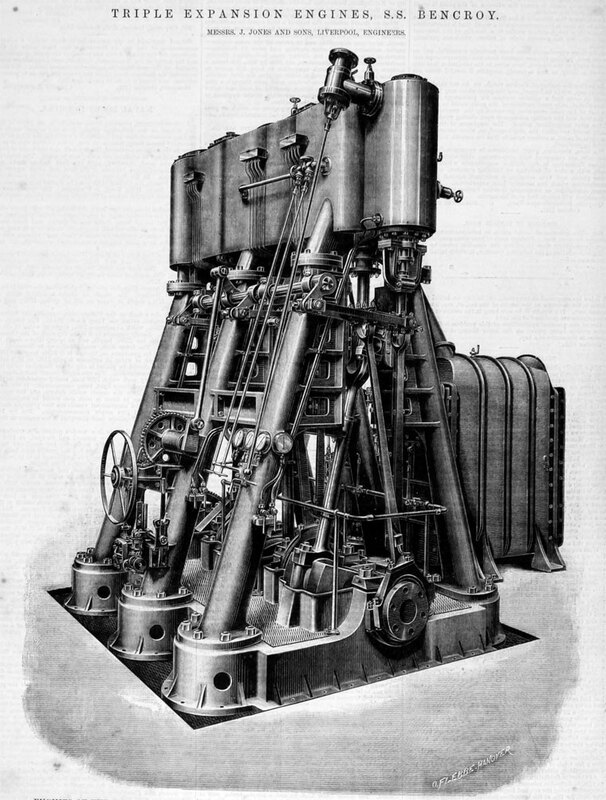 Engines of SS Bencroy. Photographed in Punta Arenas, Chile. John Jones and Sons of William Street, Liverpool. 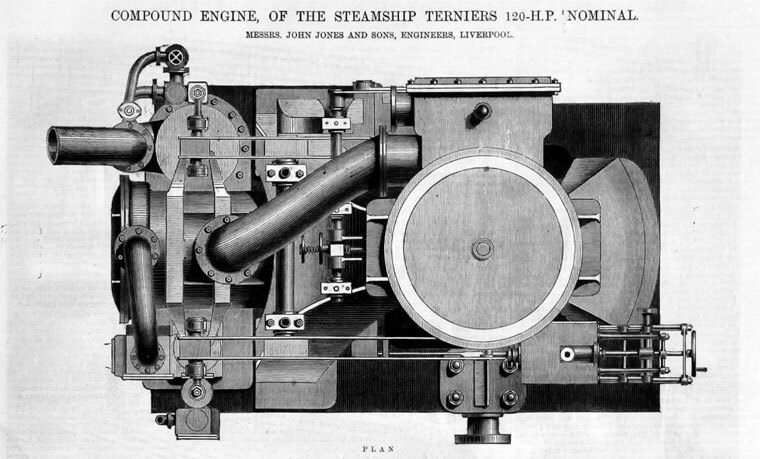 1882 Handed over a steamer, the ninth one built for the owner Joseph Hoult. Note: John Jones married Mary Hoult and her sister Anne Hoult was his housekeeper for many years after he was widowed, so a strong family connection here. 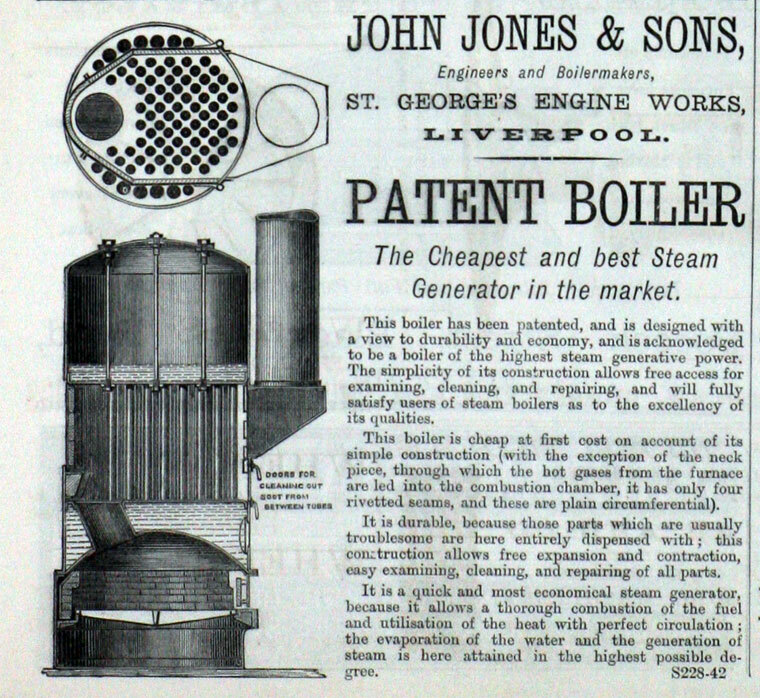 1891 Advert. 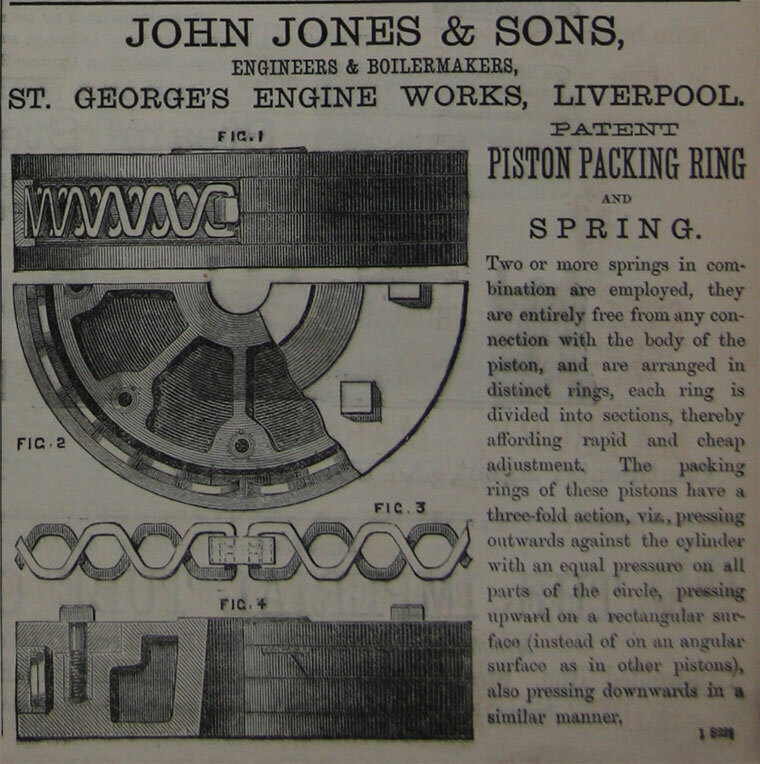 For description of works see 1891 The Practical Engineer. 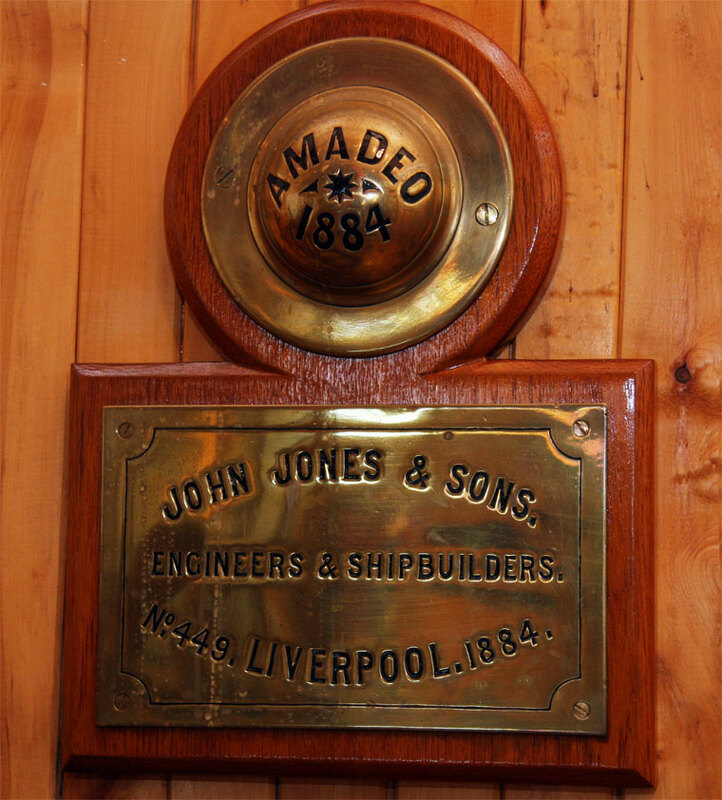 John Jones and Sons continued building ship's engines and one steamship 'The Danny' Daniel Adamson which was recently restored to full function, has one of the John Jones's ships steam engines and was built in 1903. The Danny survives on the Mersey river in Liverpool. John Jones merged with Cammell Lairds not long after that date. The Danny is believed to be the the oldest Mersey built steam ship still in existence. "In 1900 a site was acquired at Tranmere, up-river from the existing yard of Laird Brothers. On it stood a row of large, private houses, the recently built headquarters of the Royal Mersey Yacht Club and a small shipyard owned by John Jones and Sons. Laird Brothers and John Jones - which was soon bought out - formed the Tranmere Bay Development Co Ltd. in March 1902 to undertake work on a 98.5 acre site. The installations included a yard to build ships of up to 1,000ft in length, well in excess of the largest size envisaged. It was provided with six slipways, two graving docks, new engine and boiler shops and a 15 acre fitting out basin, the UK's largest privately owned wet dock. The docks and basin were opened in 1906." This page was last edited on 19 February 2019, at 12:29.